Cheryl Strayed’s book “Wild” is getting released this week as a movie starring Reese Witherspoon as Cheryl . I read “Wild” when it came out, it was part of my 2012 one book a month goal. I found Strayed’s book enrapturing (Strayed is not her real name, but rather the one she chose to author this book, and its so fitting!). She makes what to everyone would be an unusual decision to leave her marriage, sell everything, and go hike the Pacific Crest Trail, which traverses the Western United States. But for Cheryl this decision was the culmination of bad decision making, horrible life circumstances and a response to the pain and loss she felt after her mother passed away. In retelling her story, she is brutally honest about her weaknesses, but also unapologetic. That doesn’t make her horrible, it just placed her within the context of processing her weaknesses and her life circumstances on her own terms. Cheryl was faced with a crumbling world, a spiraling mess of emotional and psychological self-destruction. Her ability to be brutally honest in her writing, helped me begin to be just as honest about my own weaknesses, and to an extent, my own professional, academic and personal life was spiraling out of my control. In that way Cheryl’s book read like a self-application self-help book; you read it, and along the way the self-help advice is being applied by Cheryl. An aspect about “Wild” that made me for me warm and fuzzy and all nostalgic inside, was that I got a chance to find myself getting back to the root of my passions and desires for nature, the outdoors, for adventure, and authenticity. I think lots of outdoorsy people are attracted to the book by this aspect of the story- a woman alone in the wilderness, the high country of California and the deep forest of Oregon. But not everyone will find this book as appealing as I have, and probably might be put off by the internal dialogue. People won’t be able to get past the desire of judging Cheryl, and thats okay, everyone is entitled to their set of values and principles. However, in becoming a movie, I wonder if “Wild” could fully encapsulate the visceral nature of the words and sentences and paragraphs and chapters that make up the story, especially the internal dialogue, its incredibly honest self portrayal of a life coming unhinged. It, however, remains a prescient observation. Even in my generation, as the full force of the impact the internet is making takes hold, we still have an issue with the “why and the how.” Access is spreading, but its also creating a society transfixed with escapism and passing time, rather then interaction and engagement. We have Facebook, Youtube, along with a plethora of news sites, gaming mediums and access points to occupy our time, but nothing provides us with meaning. The irony is that all of it is meant to connect us to a better human experience. Its all a matter of escape, passing the time. We occupy a time where being able to escape is a premium, because whats needed to escape takes little intellectual vigor. Whats needed to engage requires much more effort, discipline, x- grit. Our fiction mimics this reality, especially with the growth of dystopian writings we see. The absurdity of irony and ridicule taken to its extreme is best exemplified by Hipsters. 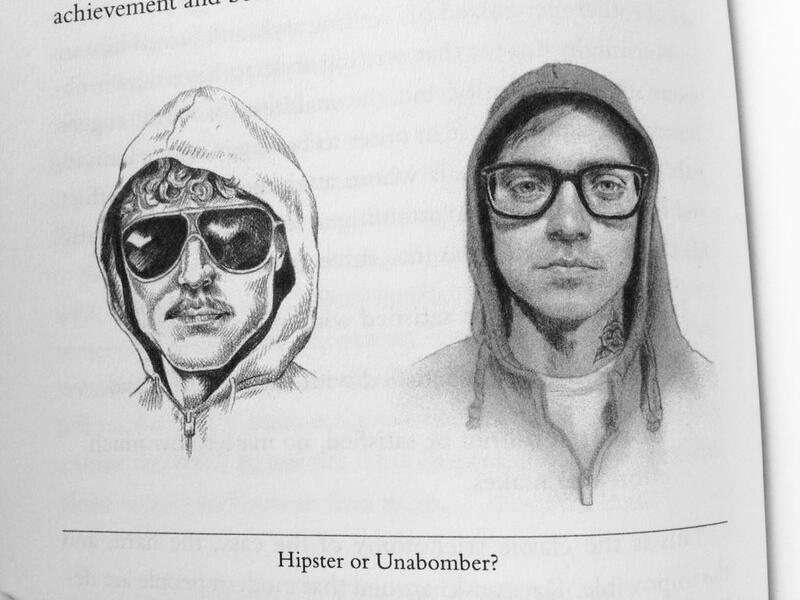 For Thiel “[a]ll fundamentalists think this way, not just terrorists and hipsters.” In this explanation, our lives are void of the drivers and motivators that push society forward. Fundamentalists are focused on the very truths that bring meaning to their lives, pushing back against anything and everything that challenges those truths. Nostalgia to times past, the past that was filled with the every motivators and drivers, is the means of insulting from the void. But its meaningless and unfulfilling, much like irony and ridicule observed by DFW in the fiction of the late 80’s and 90’s. That legacy, today, is a plethora of meaningless fiction. If all the world is a stage, then Hollywood is writing our script. Is it true that what Hollywood writes is devoid of meaning? Are we missing the authentic ? Cheryl’s “Wild” for me would represent the anthesis to that, but only if it stays true to book. We consume media, in fact, we spend hours and hours of our time consuming media, it has to take a toll on us in ways that we can’t even measure. In a way the only way to hold on to authenticity of human experience seems to require the complete disconnect with technology. We may, in a way, all need to get out into the wilderness, or else we are all on a road toward complacent meaninglessness. 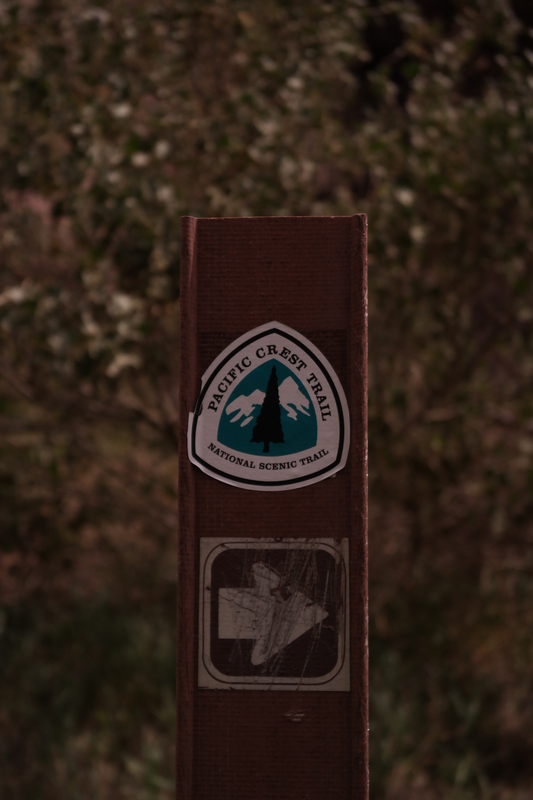 I might just go walk a few miles of the Pacific Crest Trail, it does snake its way northward a few miles from my backyard. If you own a Kindle, or buy one here, you can get a digital book for 3.99. OpenCulture has 30 other essays by DFW that you can read here. The premium, its what will differentiate consumers, devoid of providing meaning, and producers, those that give meaning, in the Age of Conception.